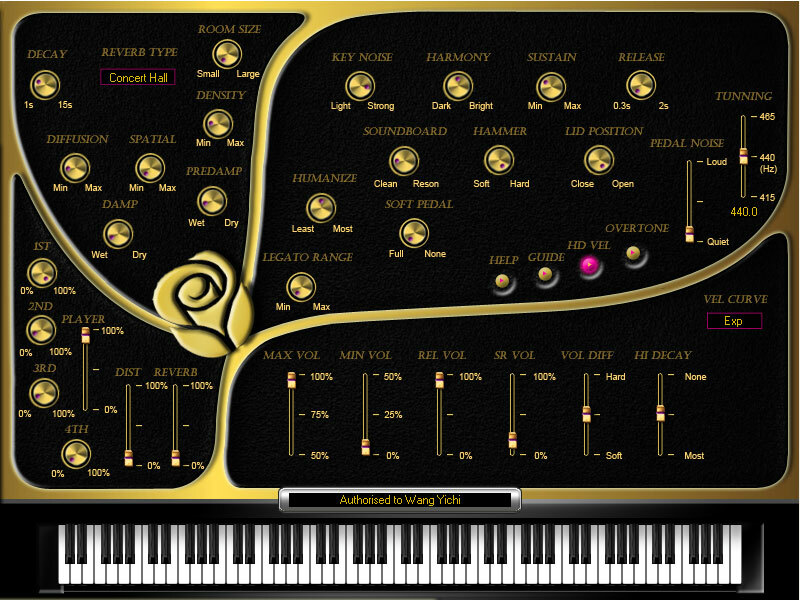 Rose Whisper Piano, Virtual Acoustic Piano from Sound Magic. The sound of Rose Whisper Piano comes from Fazioli "Brunei", a concert grand. Based on its famous Fazioli F308, the 10 foot concert grand model, the Fazioli Brunei was tuned by factory engineers. Compared to regular F308 model it has "a deeper bass and mellow overall sound," the company says. There are 10 different add-ons available for different situations and solving different problems. Gives the user control over the aspects of the piano including hammer actions, microphone positions, sympathetic resonances, dynamics and more. HD Velocity Layer designed to support up to 65,536 Velocity Layers. Multi-microphone positions enable users to mix between different microphone positions and create new sounds designed to fit into a mix. Real Piano Legato designed to make the legato passages more realistic with sustaining tone. Actual modeling and soft pedal samples present the sound of three kinds of pedals. 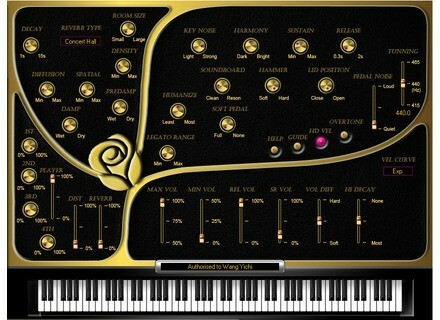 SoundPrism Pro 2.0 Audanika announces the release of a new version of SoundPrism with new features, sounds and FX. Perimeter Sound Arts Projektor Perimeter Sound Arts has released Projektor for u-he Zebra 2.5, a patch collection created by Jeff Rhodes. QESounds Altered Reality 4 Fx QESounds has released Altered Reality 4 Fx.